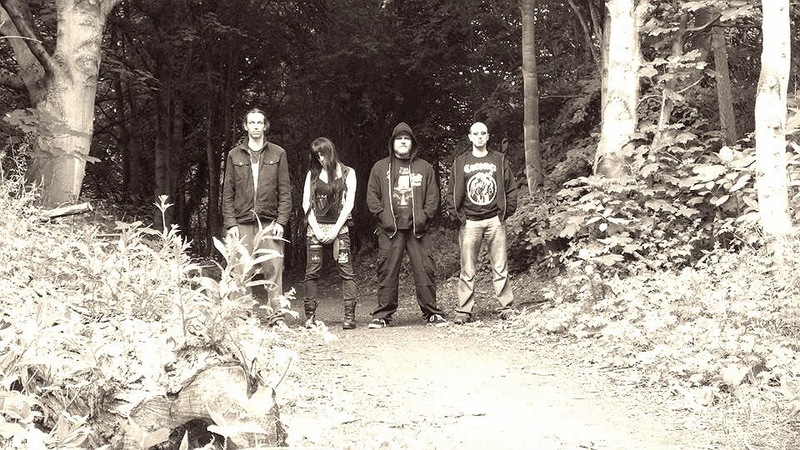 UNDER THE CHURCH signs with Pulverised Rec. 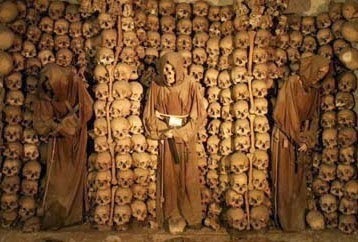 Swedish Old school Death Metal band UNDER THE CHURCH have signed a deal with Pulverised records. After the release of the great demo this year, the band is working on a full lenght debut that is intended to be released next year under the new label. Hell-O, My name is Kat Shevil, I play drums and growl/scream in Uncoffined, Glynn plays guitar, Jonny Rot plays lead guitar, Gory Sugden plays bass. The band formed officially in early 2011 initially as a 2 piece featuring myself and Glynn...Jonny and Gory joined us about 5 months or so later and things have gone from strength to strength since then. Why did you choose Uncoffined as the name of the band? 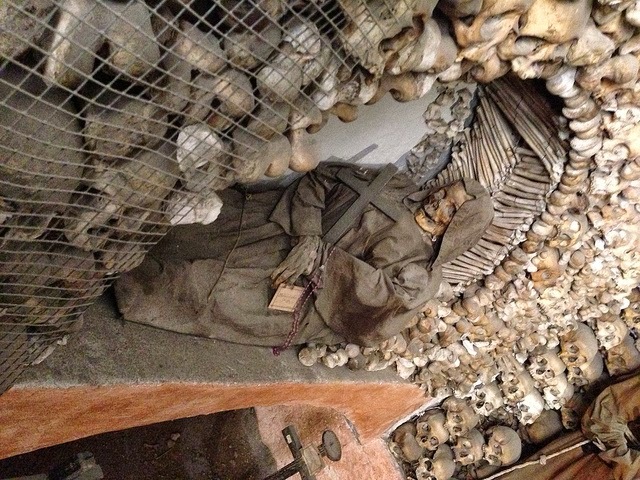 I just came across the word one day, I liked the sound of it, it sounded suitablly morbid and dark for the kind of music we had in mind to create and I think it suits our overall sound and vibe perfectly but most importantly of all no other band had laid claim to this name for a band yet until ourselves did...of corpse! How do you define or describe your style? HEAVY DOOM METAL OF DEATH....a lot of our riffs are very traditional doom metal sounding, so much so you could just put normal sung vocals over the top of a lot of them and it would just sound like stragiht ahead heavy doom metal but we choose to utilise death growls and possessed screams to make things more sinister sounding. 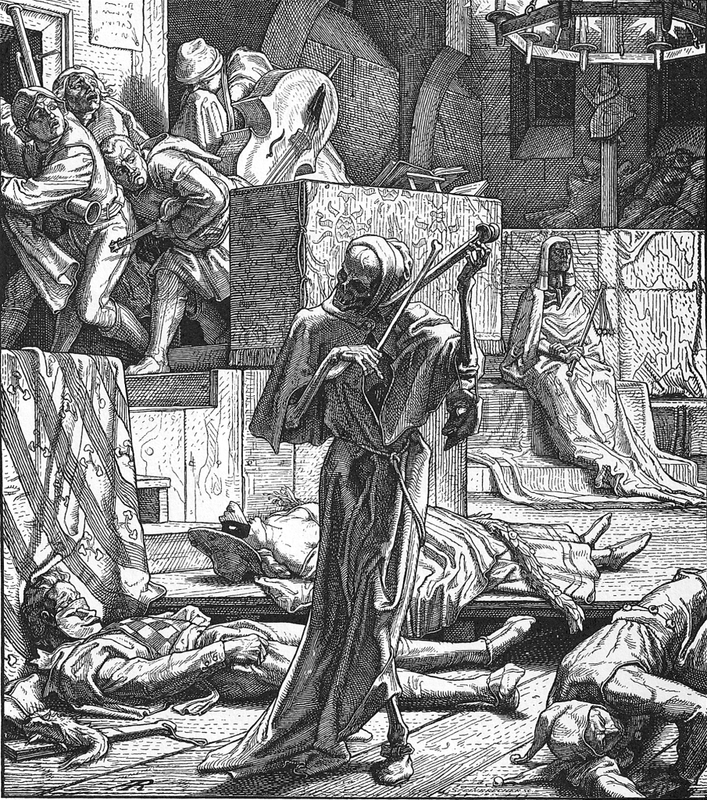 The description DOOM METAL OF DEATH says it all about our music really. What bands inspired you to play this style of music? 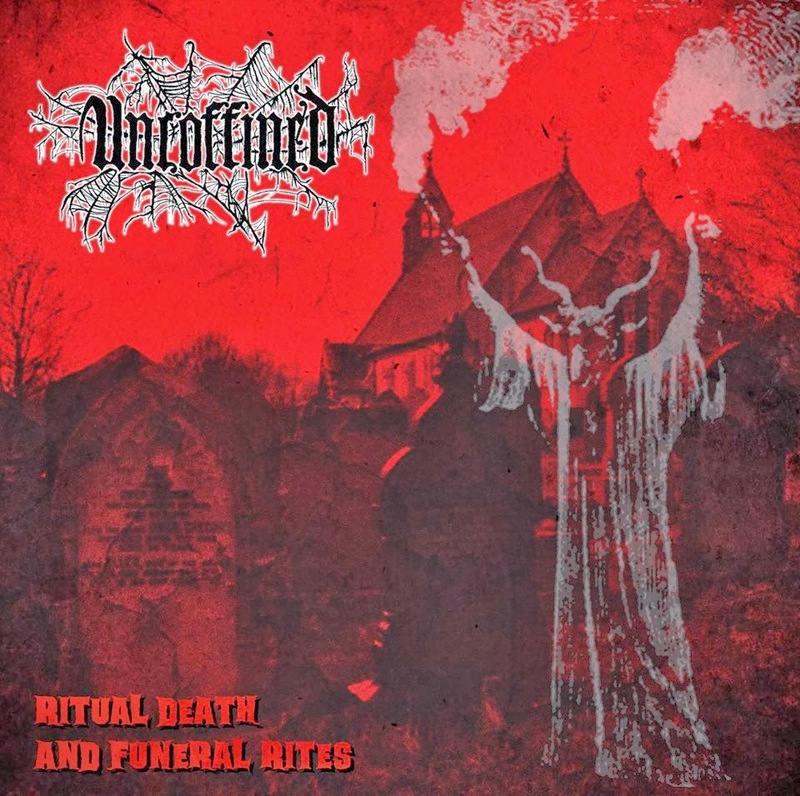 You and other members have been playing in other bands, what differs those bands with uncoffined? Uncoffined is much slower than our other bands (Winds of Genocide - a crust punk/death metal band) and The Obscene (a death metal band). That is definetly the main difference. 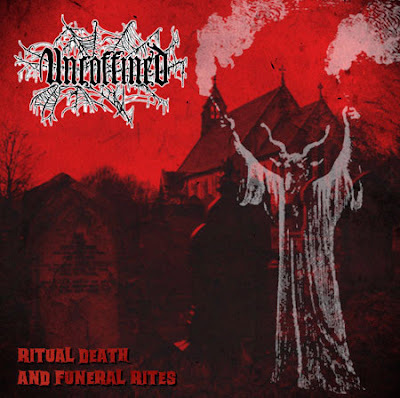 All of our bands deal with dark lyrical subject matter but Uncoffined is a more sinister beast that is steeped in deep interest of the occult and satanism, mysterious dark forces and arcane cults and the darker and more sinister sides of tradition and folklore. Your debut lp came out recently, how was the recording? Do you enjoy recording "live" in the studio? The CD version of our debut full length album "Ritual Death And Funeral Rites" recently came out via the Spanish deathcult Memento Mori. The recording took place on a cold weekend in mid Feburary of this year in the darkest depths of Bradford in West Yorkshire, England with Bri Doom producing. We recorded + mixed everything over 2 days, it was quite a smooth process without any major problems and yes we recorded the basic tracks live and then added 2nd guitar/lead guitar and vocals later in the day/weekend. We are VERY happy and satisfied with how this recording turned out and I personally don't think we could have done a much better job overall...we had rehearsed A LOT before entering the studio and I think that shows, I do enjoy the finished product of recording in the studio but overall I prefer the energy and vibe of playing live but studio work has its moments both good and bad...but this recording was one of the most enjoyable I have done in my 20 years of recording in studios with bands. Listening to the advance songs there are samples from some horror movies, where are they from? Are your lyrics inspired only by horror movies? Two songs on the album are influenced directly by old Hammer Horror movies, the opening track "Twisted Shape Of Creeping Terror" which lyrically is inspired by "The Plague Of The Zombies" and has samples from that movie both before and after the song and the title track "Ritual Death And Funeral Rites" is inspired by "The Devil Rides Out" which also has a couple of samples before and after from said film. 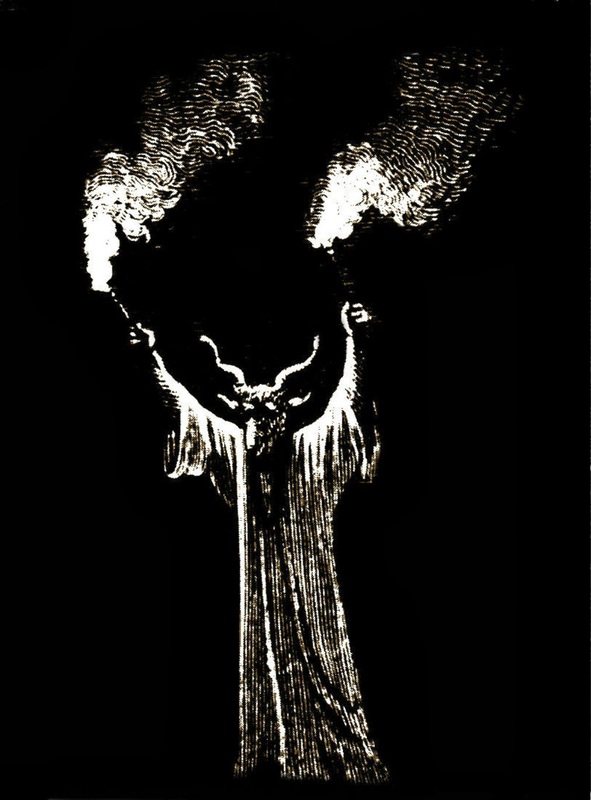 The other tracks on the album are generally inspired by my personal interest in the occult and satanism aswell as local dark and mysterious folklore tales. "The Devil And The Old Cursed Tree" for example is about a local folklore tale about an old oak tree that was struck by lightning and locals feared it saying it was cursed by the devil and that if you walked around it 9 times on a moonless dark night the devil would appear and if you walked around it another 4 times (making it 13 in total) it was said that the devil would speak to you and tell you your fate after death and where you would be headed for the rest of eternity...the tale goes that a lot of people have attempted it but generally wavered at the 8th time before they have a chance to see if the story about the devil himself appearing at the old oak tree is true or not....this is a local legend / folklore / ghost/mysterious story that has fascinated me since I was a kid. The lyrics on the next recording will be a mix of the same plus some inspiration that has came to me via dreams where I have had certain ghostly and sinister experiences in them. What can you tell me about the cover artwork? How do you describe it? A Swedish guy called Ola Sjoberg designed the cover, it fits the music and lyrical matter perfectly, the best description I have read so far of it by someone is "Early Black Sabbath meets Hammer Horror". Couldn't have described it better myself!!. You recorded a cover of the band Revelation, why did you choose this song? Will you include another cover song on the next album? Revelation have been a personal favourite of a few members since the early 1990's, and 3 of us in the band namely myself, Jonny and Gory were in a Doom band that started in the early-mid 90's called Blessed Realm which was named after the Revelation song of the same name which appeared on the "Dark Passages 1" Doom compilation put out by Lee Dorrian at Rise Above Records. The song we decided to cover "Frustrations" is from the bands 2nd album "Never Comes Silence" and is in my opinion a classic doom metal album that deserves much more recognition and name dropping...Revelation as a band are underrated I think, even within the Doom scene! 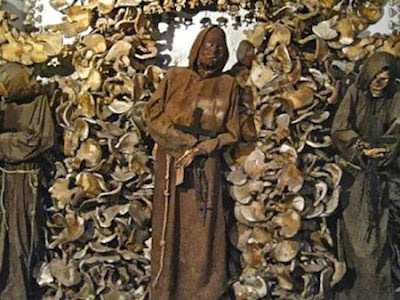 So this cover is our little tribute to a great and pioneering Doom Metal band. As for including another cover song on the next album..who knows..maybes..maybes not...it has been brought up in conversation though, we would just all need to 100% agree on which song to cover. Don't want to do a cover that 100's of other bands have already done! According to John Brenner from Revelation our cover is the first Revelation cover he has heard recorded by a band apparently and he gave it the thumbs up and said he thinks we have stayed true to the spirit of the original...that makes me just a little bit proud!. How do you see the doom scene today? Well there is definetly more bands playing Doom thesedays in it's various guises than there was back in the 90's and this style of music is also a lot more popular thesedays than it was back in the mid-late 90's for example when it was overall a much more smaller and more underground scene and style of music...with only a few bands really ever "breaking through" into the mainstream or being picked up by big labels back then such as Cathedral, The Obsessed, Trouble, Candlemass, Solitude Aeturnus...a lot of Doom bands of the 80's and 90's were well and truly walking the darkest depths of the underground, some achieving a cult status at best until more recent times...it is great to see bands like Saint Vitus and Pentagram now playing bigger shows to sold out and packed crowds but the only downside of any style of music becoming more popular and dare I say more fashionable are the hipsters, hangers on and fashion followers that have jumped onto the Doom bandwagon in more recent times but such people will move onto another style eventually and are not true die hard doomed souls..WE ARE...We are into this music for all the right reasons, we have pure doomed devotion, passion and love for playing Heavy Doom and we will all be doomed souls for as long we walk this earth...and in the beyond...I really can't see myself enjoying playing many other music styles apart from this. It is great to see new blood in the Doom scene and helping to carry on the musical tradition of the old bands who started this scene. I enjoyed the last Saint Vitus album a lot and whilst it may not be in the same classic league as say "V" OR "Born Too Late" it is a very good solid comeback album....the less said about the new Black Sabbath album the better in my opinion! I think that says it all...don't you?!. What bands are you listening to nowadays? Anything you would like to recommend? Are you more into old stuff or new releases? I listen to A LOT of old and classic stuff of course but also a lot of newer stuff from different styles of heavy and extreme music. I love to hear new bands. 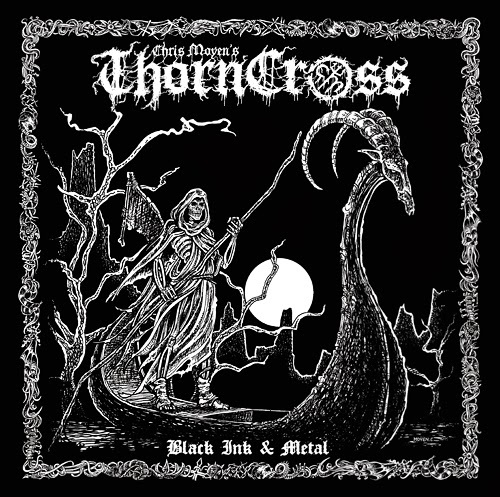 Some newer Doom bands that I would recommend and really like personally for example are Anguish from Sweden (Great Heavy Doom Metal with harsh vocals), Black Oath (Great Italian Dark Horror Doom Metal), Abysmal Grief (Great Italian Horror Doom), Age Of Taurus (UK/Norwegian based Heavy Doom Metal), Witchsorrow (another great UK Doom Metal band), Serpent Venom (Again from the UK, Killer Doom!). Solothus (great death/doom from Finland like Hooded Menace, early Cathedral, early Paradise Lost etc), Derketa (death/doom legends) and Into Darkness (female fronted Italian Death/Doom in vein of Asphyx, Mythic, Derketa etc..Some cool newer UK bands that are playing heavy and doomed in one way or another are Coltsblood, Crypt Lurker, Atragon, Live Burialand Indesinence. 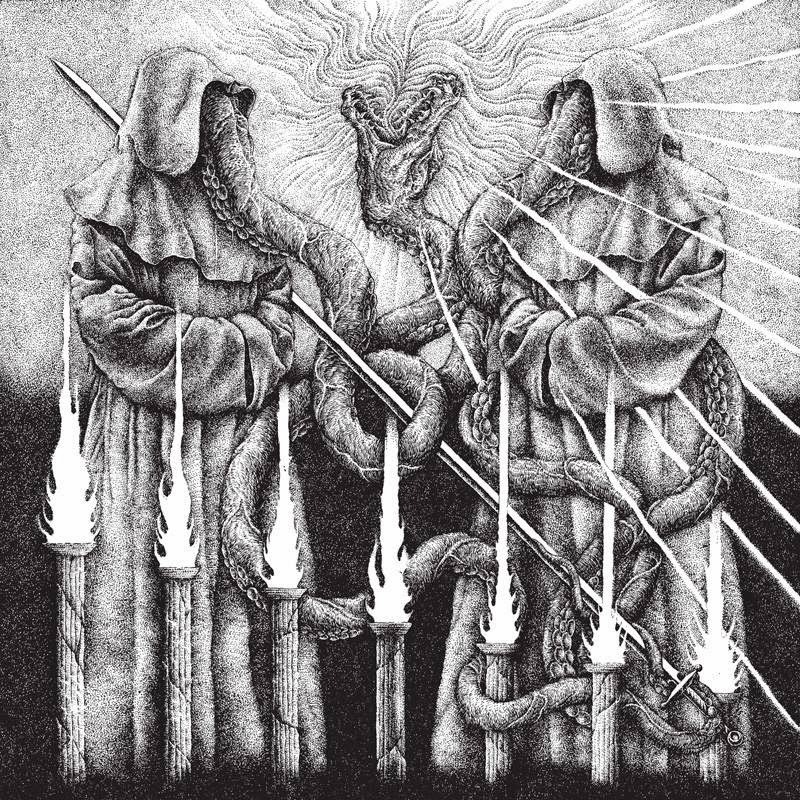 Grave Miasma are also one of the best death metal bands this country currently has to offer along with Scottish Autopsy worshippers Bonesaw.. But in general I listen to everything from Scandinavian/Nordic Trad folk music to extreme black/death/thrash to doom/sludge, 80's heavy metal, 70's hardrock, 60's garage rock 'n' roll...I like to keep a rather open mind when it comes to listening to both older music and newer music...there is always going to be "staples" and "classics" that I will always go back to listening to on a regular or at least a semi regular basis...but I am still discovering bands from the 70s and 80s that I had never heard or heard of before...always on the hunt for new sounds and lost gems and cult classics!. 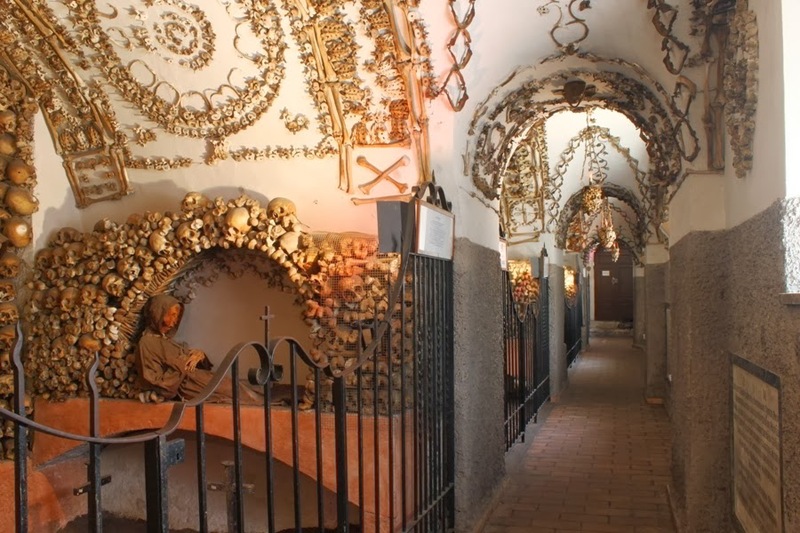 How did you get in touch with Memento Mori Records and how did you come to sign this deal with them? I sent Raul a copy of a track from the recording a couple days after we got home from the studio, he really liked what he heard so asked to hear more, I sent him all of the tracks and he got back to me saying he would like to release the recording as a full length album as he thought the length was long enough and the recording quality good enough, he gave us an offer we simply couldn't refuse, gratefully accepted it and here we are 9 months further on with the album released! Raul paid for the recording to be mastered properly by a friend of his in Spain called Javier Felez @ Moontower Studios in Barcelona (he also plays in the great death metal band Graveyard) and he did an absolutley awesome job with that! His mastering made an already heavy and crushing sounding recording sound even more crushing and heavy! It would be great to see this release come out on vinyl too...time will tell...if a label gets in touch with a good offer then that would be great. A pro cassette tape version is planned via the Irish label Underground Movement, not sure when that will see the light of day though. We retain the rights to negotiate a vinyl release with any interest label (s). You recently played a few dates in Scotland, are you working on a tour or more dates, perhaps outside the UK to promote the album ? Yes we did with Bonesaw, two shows overall one in Edinburgh and one further up the east coast in Aberdeen, they were very cool shows overall and we sold quite a few copies of the ablum that we had with us and made a few new fans at both shows which makes that trip a success and very worthwhile in itself! We would like to do more shows outside of our local area, be it some weekenders consisting of just a couple shows or a more extensive tour over a week or two. Interested promoters should get in touch with us via this email shevil.kitty666@gmail.com. Do you feel ok playing drums and singing at the same time, specially when you play live? If you would have to do only one of both things, which one would you choose? Yes I do feel very comfortable doing both drums and vocals at the same time, but it is something that I am still learning and with more live experience it is something I can only get better at doing and feel more confident and comfortable with doing but right now it is not a problem and I am really enjoying the challenge and job of doing both at the same time. If I HAD to only choose one I really don't know which I'd choose..since I just do vocals in another band I would probablys choose drums but at this point in time I would not want to hand over or relinquish the main vocal position to anybody else...and can't see that happening anytime in the future either. 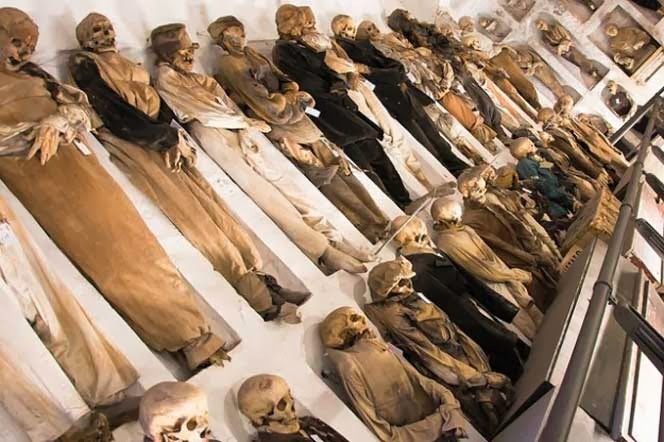 In the studio I did my drums and vocal parts seperate...of corpse. What is the strangest place where you have been or the most shocking one? Most shocking one: Glynn's kitchen, Strangest place:- an old ruined castle high up on a mountain in Germany, that place had a haunting and strange atmosphere to it...I camped there for a few nights and wandered about it in the darkness...I sensed the spirits of some old souls in that place. What's gonna be the next step for Uncoffined? Promote the album, write new material (which we have already made a start on), get some merch printed up (shirts, patches, stickers), play more shows both around the UK and hopefully further afield...that is about it for now. Thanks for your answers, anything you would like to add? Many thanks for this cool and interesting interview - DOOM OR BE DOOMED.....TO DEATH!!. 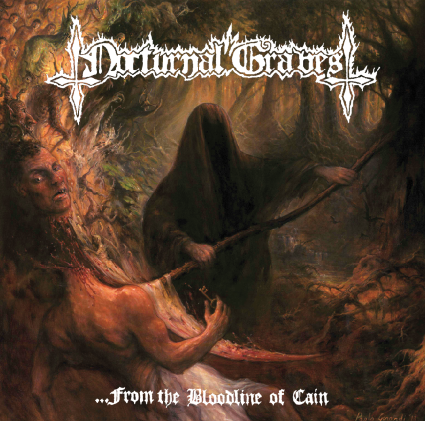 PUTREFACT "Of Those Who Were Deceased"
NOCTURNAL GRAVES "...From The Bloodline Of Cain" available! Old school death metal band from Switzerland DEATHCULT, are finishing the last touches for the forthcoming EP "Pleading for death, choking on life", to be released before 2013 gives its last breath. As DEATHCULT says...prepare for death! 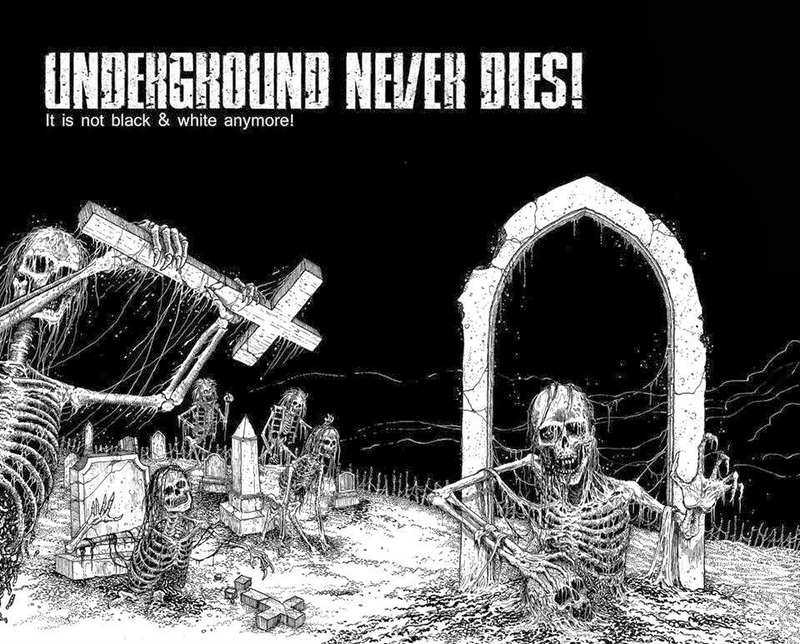 U.S. thrash metal band (not the death metal band who later became Immolation) will come back with a new album in 2014. 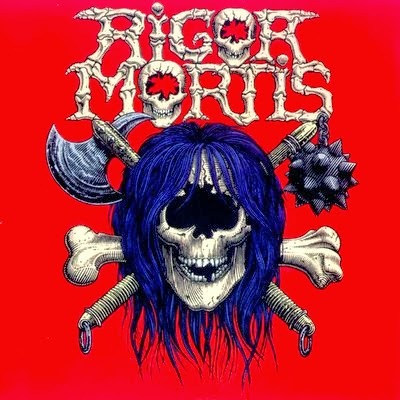 According to the band "SLAVES TO THE GRAVE" will be the last Rigor Mortis album and a "swan song” to guitarrist Mike Scaccia, who died on December 23, 2012. PESTILENCE presents new lyric video for "Necro Morph" taken from the new studio album "Obsideo" out 11th of November through Candlelight. TRIPTYKON TO RELEASE SECOND ALBUM IN APRIL 2014! TRIPTYKON announced in a press release that "MELANA CHASMATA", translated as "black, deep depressions/valleys", will be released again in collaboration between Prowling Death Records and Century Media. 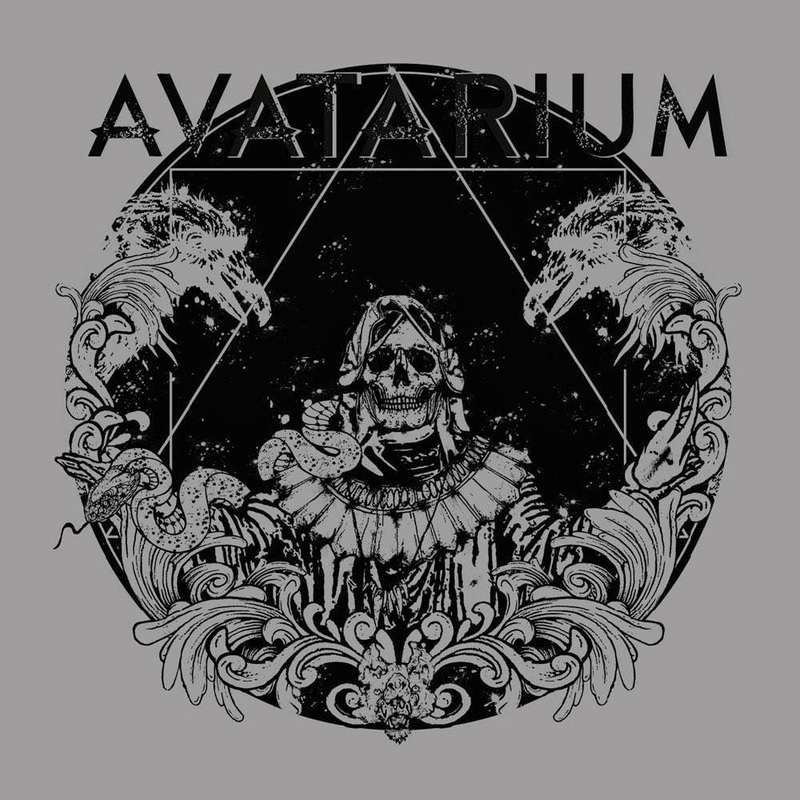 Some of the album songs are "Boleskine House, Stasis, Gate To My Own Death, Demon Pact, Gehinnam, Tree Of Suffocated Souls, Unchristian Anthem" The album is being produced again by Tom G. Warrior and V Santura. 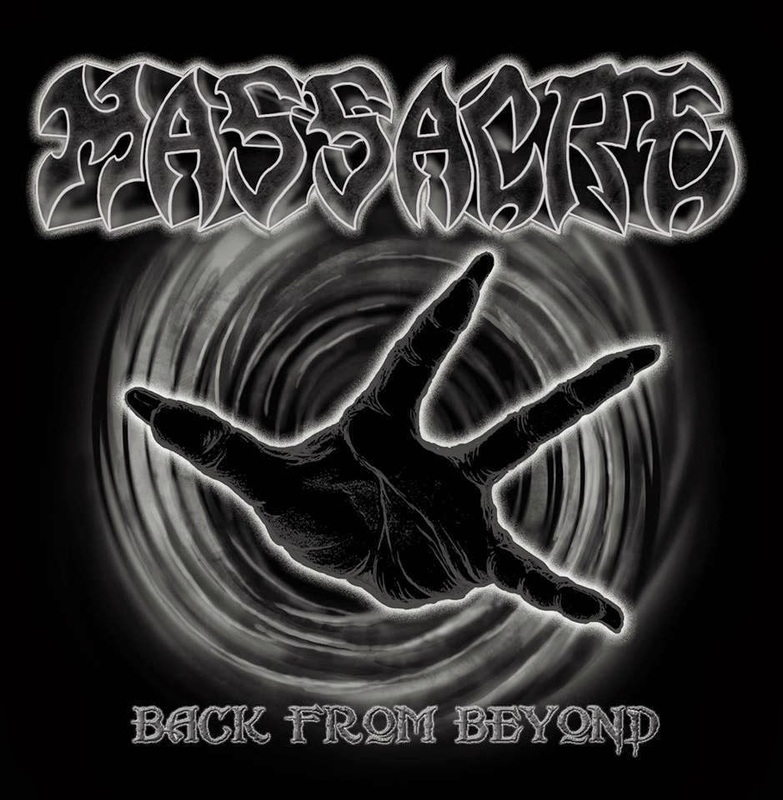 MASSACRE (U.S.) Announce new full lenght album "Back From Beyond" for 2014 on Century Media! 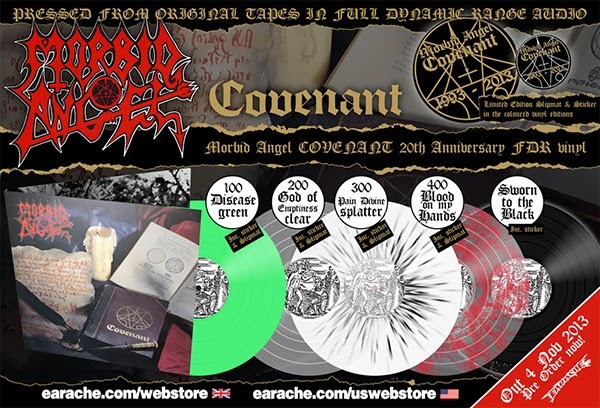 MORBID ANGEL will reissue "Covenant" on vinyl celebrating the 20th annivrsary of this classic album. Covenant is due to be released on November 4th through the Earache European Webstore, and will also be available in limited quantities directly from the band on their COVENANT 20th anniversary US tour. 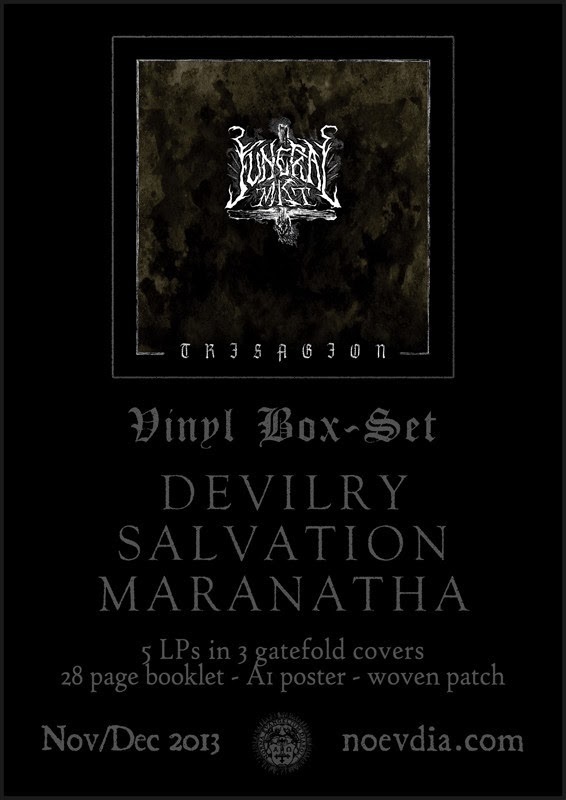 FUNERAL MIST - "Trisagion" is the title of the Boxset that includes FM´s three LPs. 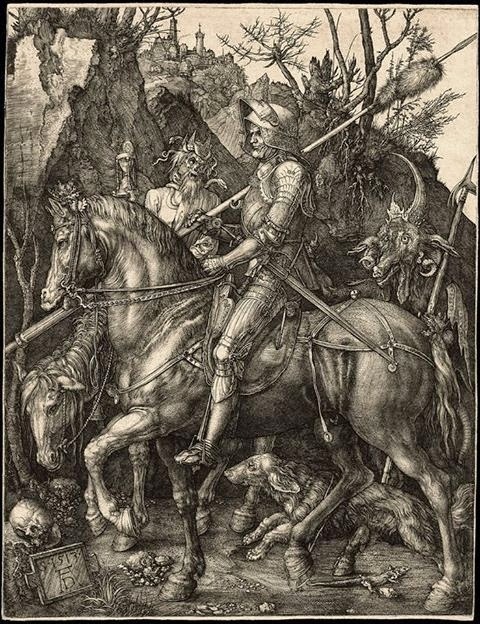 "Devilry", "Salvation" and "Maranatha". "Black Force Domain" will be released as midprice CD, digital album and LP on either black, clear or transparent red 180gr vinyl. As bonus tracks the CD/digital release will contain "Nuclear Winter" (Sodom cover version) and "Total Death" (Kreator cover version). "Apocalyptic Revelation" will be released as midprice CD, digital album and LP on either black, clear or transparent orange 180gr vinyl. 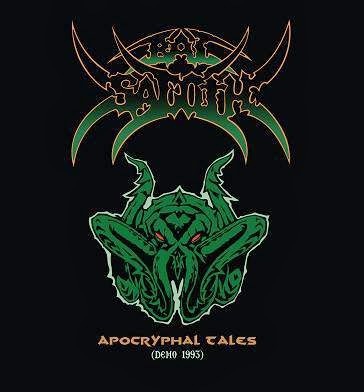 As bonus tracks the CD/digital release offers a re-recording of "They Call Me Death", "Unholy Blasphemies" (Morbid Angel cover version), "Silent Scream" (Slayer cover version) plus 3 live tracks. 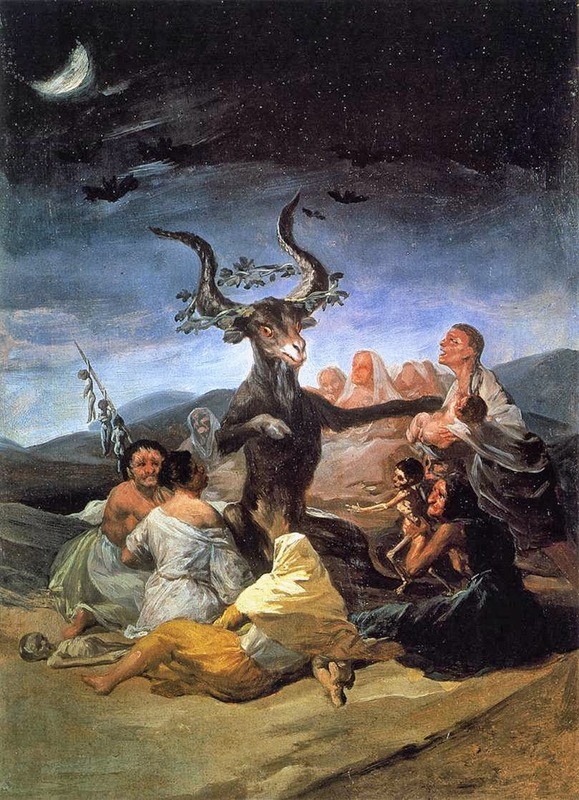 Nocturno Culto´s GIFT OF GODS revealed! To promote the new release, "Receive", out on October 28, Peaceville Recordsreleased a song “Enlightning Strikes” (edited). 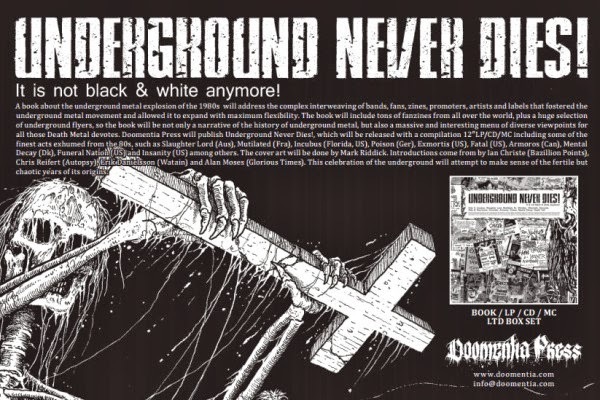 Doomentia Press will publish and distribute "Underground Never Dies!" 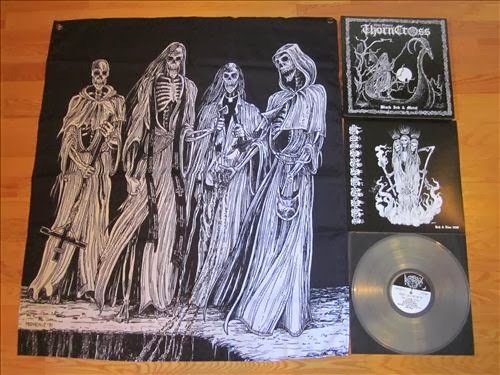 which will include a compilation 12" LP featuring historically important bands exhumed from the 80s, such as Slaughter Lord (Australia), Mutilated (France), Incubus (Florida, USA), Poison (Germany), Exmortis (USA), Fatal (USA), Armoros (Canada), Mental Decay (Denmark), Funeral Nation (USA) and Insanity (USA) among others. Presented in gatefold format, and limited to the first 500 copies of the book, the LP will be followed by CD and tape versions of the same material with added bonus tracks. MASSACRA "Day of the Massacra" is the demo compilation thatCentury Media Records will release on Novembre 4th. Watch out for the entire cataloue of Massacra (5 lbums) also to be released step by step. Enjoy the violence!